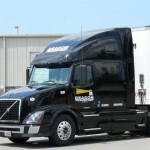 Are you considering a career as a truck driver? While driving a truck isn’t for everyone, for some there is no other job that would bring them more joy and fulfillment. If you believe you fall into the latter category, here are the steps that are needed in order to realize your dream. First, make sure you’ve at least achieved a high school diploma (or GED). This is a basic requirement that almost every truck driving company has in place. Even if it’s not listed as a requirement, it might provide you with the advantage you need to edge out the competition and get hired. Next, focus on keeping your driving record as clean as possible. We get it. Nobody’s perfect. If you’ve already received a few tickets in the past, that won’t necessarily prevent you from landing a job as a truck driver. However, if most of those were for moving violations or worse – a DUI – chances are most trucking companies won’t feel comfortable trusting you with their freight. If you’ve got a history of violations, focus on keeping your record clean for the next few years. 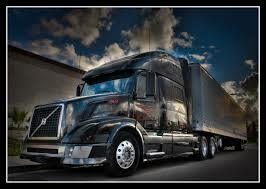 Another must for becoming a truck driver is achieving your Commercial Driver’s License, or CDL for short. There are specific guidelines that have been set forth on a federal level; however, each state also has its own set of rules governing this process. Generally speaking, you’ll need to successfully pass a written examination that covers such important things as driving laws and trucking equipment. You’ll also need to conduct an inspection report and pass an actual driving test. The easiest way to prepare for all of these requirements is to attend driving school. There are a wide variety of approved schools which offer a quality education and provide an excellent foundation for future success as a professional truck driver. Tennessee Technology center and Miller Mott Technical School, just to name a couple of schools. Finally, once you’ve attended driving school, you’ll need to pass the Federal Motor Carrier Safety Regulation exam, which includes both a written and physical (i.e. sight and hearing) portion. The written portion is a one-time-only exam, but the physical tests must be taken and passed every two years. After completing each of these steps successfully, you’ll be ready to start applying for truck driving jobs. The good news is, the transportation industry is a solid one and truck drivers are typically in demand, which means it won’t be too challenging to get started. The steps provided above should give you a good foundation that will help you launch a career doing something you truly love.